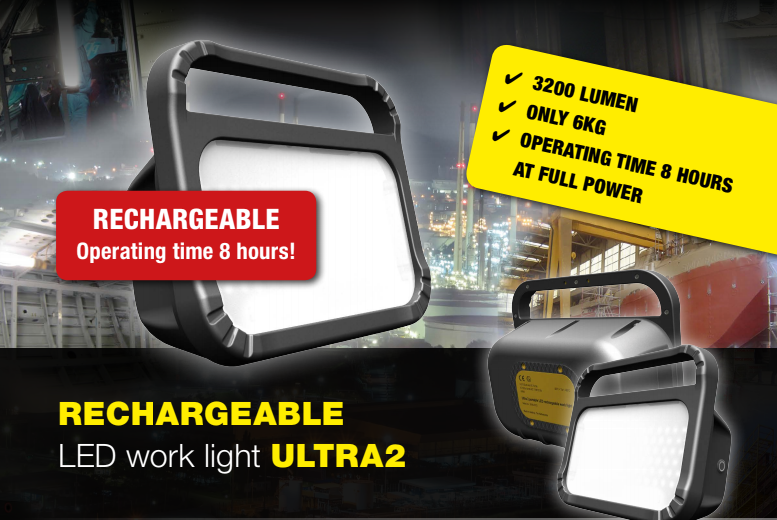 Introducing the ULTRA2 – a fully rechargeable LED work light which is designed to be used day-in-day-out in hazardous areas. The ULTRA 2 makes it simple to light areas without the need for a power supply or any ATEX cables. With an incredible operating time of 8 hours at 3200 lumen and features like magnetic mounting and a scaffold hook, it is ideal for daily use.